It’s been six weeks since my last blog and what a busy six weeks it’s been. After our Australian Open Water Nationals I returned home to Brisbane to have a week off swimming completely. For that whole week I did absolutely nothing, it was great. I just laid in bed and watched tv… The most exercise I did in that time was walks to the kitchen to get food! The week after I started back training but only once a day. I’d train in the mornings so I could then have the rest of the day free to relax. I think this break was exactly what my body needed, especially after the marathon in Argentina earlier this year where I got sick from swimming in the dirty water over there. As much as I would have liked another week just training once a day that couldn’t last so the next week I was back into full training again. At the end of this week was a race in New Zealand that I thought I’d do to see what level of fitness I still had. The race was in Mt. Maunganui and was part of the New Zealand Ocean Swim Series. I really like competing in this series as the races are ran well and the distance of the races are only 3km, still a sprint. 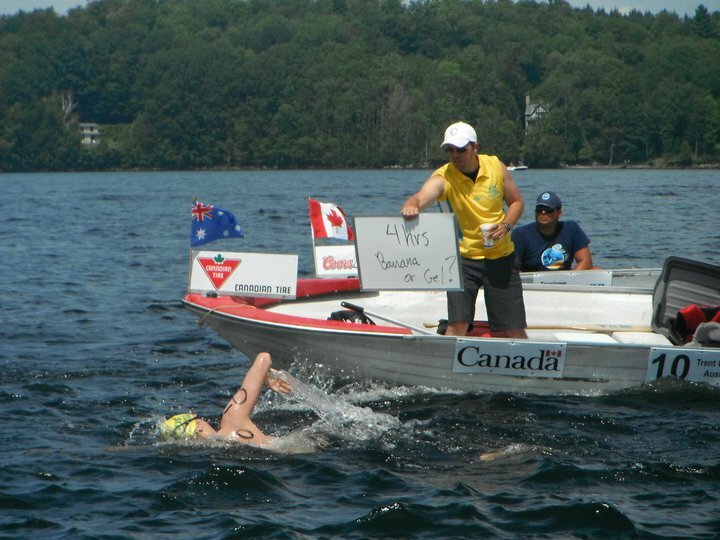 I won this race by 30 seconds over New Zealand’s top open water swimmer Kane Radford. Click 'here' for the post race artical. The next weekend was another ocean swim. 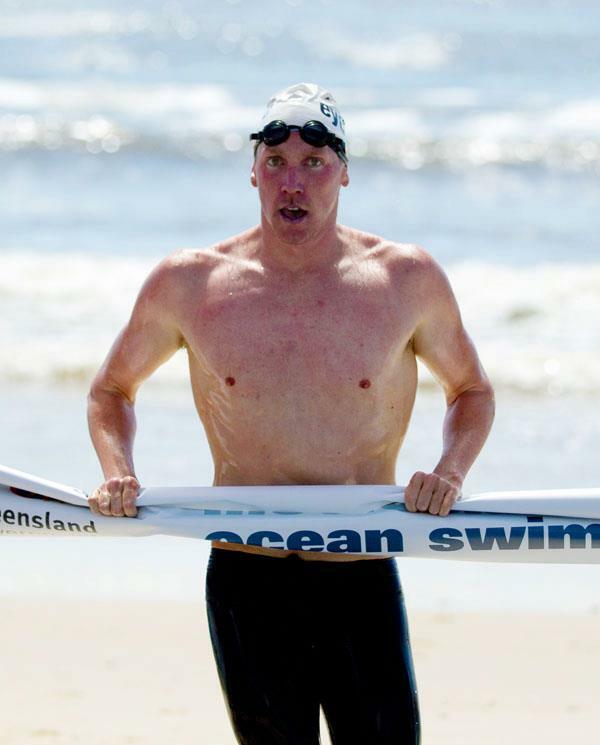 The Mooloolaba Eyeline 1000 Ocean Swim. This is a race I have won the last 3 or 4 years. I knew this race was going to be tough as I had both my little brothers (Codie and Ridge) in the field trying to also win it. I ended up winning with Codie and Ridge in second and third. It was a Grimsey top three finish which was pretty cool. We did the same thing in that race last year too! Click 'here' for the post race artical. 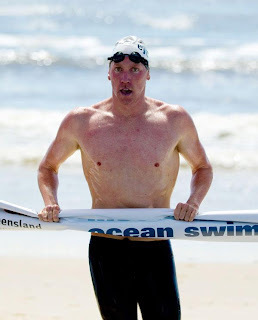 There was also an olympic distance triathlon up at Mooloolaba the next day that Codie thought he’d enter having done no cycling or running what so ever. He rode the 40km bike leg on my 15kg mountain bike, it was a very hilly bike course too which made it was hilarious to watch. Needless to say his overall ranking was way back. Classic Codie! Legal Muscle is now going to be supplying me with all my supplements. They have a huge range of supplements and deliver to anywhere in Australia. Check out their website here: http://www.legalmuscle.com.au/. Remember to support the people who support me! The Australian Surf Life Saving Nationals were last week and tragically a young 15 year old boy lost his life while competing in one of the events on the first day of competition. My thoughts are with all his family and friends at this time, it’s absolutely devastating. I have raced surf a couple of years earlier but never any big carnivals. Late last year I joined Northcliffe Surf Club. This was my first Aussies and I was excited to race and see what I could do. I had three big races there: the surf race, surf team race and the taplin relay. Unfortunately none of these races really went to plan for me. There were a few events that got cut from the program on the last day because there just wasn’t enough time to run them and the final of the surf team was one of those events, damn! In the individual surf race I placed 4th in the final, which I was disappointed with. I had a great start but swam too far wide on my way in (back to the beach) however I don’t want to take anything from the other guys in front of me, they are all quality swimmers. 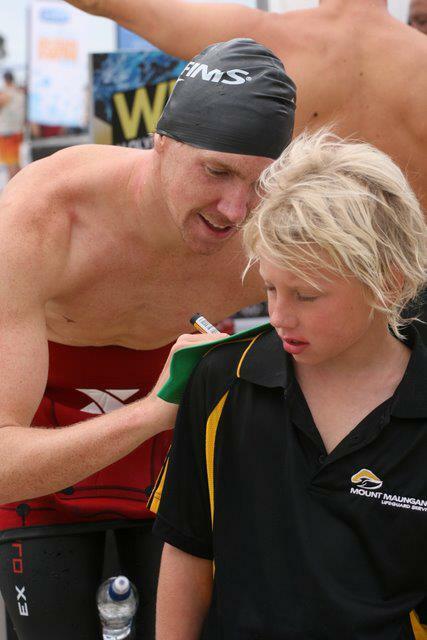 In the Taplin relay I was in the A team with Mark Bint, Shannon Eckstein, Dev Lahey, Joel Simpson and Tate Smith. The Taplin relay is the blue ribbon event at Aussies. There are hundreds of people watching and cheering, the atmosphere was awesome. After the surf race I was adamant I wasn’t going to make any more errors than in my swim leg of the taplin I swam around one too many buoys, ahhhhh. Even though I cost my team around 15 meters we were still good enough to win with my clubs B team coming in second. Apparently that’s the first time a club has ever gone first and second in a Taplin relay at Aussies. I would like say a big thank you to the McDonald family for letting me stay at their place while Aussies were on. It saved me having to constantly drive back and forth from Brisbane to the Gold coast every day. My next big race is not until the Italian Grand Prix in June. The next 3 months are going to be a really solid training block for me. I’m going to be even more of a hermit than I normally am; whenever I’m not training I’ll be at home resting. This block of training is especially important as it’s what is going to set me up for the English Channel attempt I have coming up in September. I'm really looking forward to it! I'm off now to play with my new GPS Hydro Tracker from FINIS!